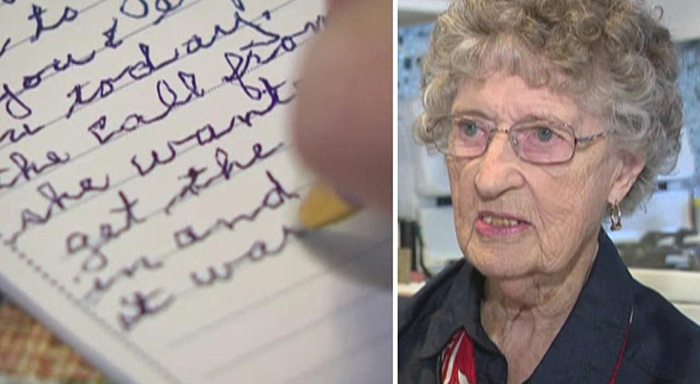 98-year-old Alleen Cooper has written more than 7,000 letters to men and women serving in the armed forces, KTRK reported on Sunday. “All of the time I think of these people and their families at home,” Cooper told the California news station. Cooper started writing the letters when her son was serving in the military in Vietnam. She kept on sending letters to other soldiers since then, adding that she doesn’t plan on stopping. Over the years people responded to Cooper’s letters by sending back their notes of appreciation and flags from their bases.